You may be related to an American patriot! 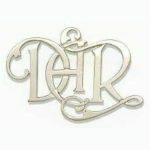 Do you have a relative who is or was a DAR member? Have you heard stories about a person in your family tree who provided patriotic service during the Revolutionary War period? Let us help you research your family roots and submit your lineage to request membership in Daughters of the American Revolution. We encourage you to join our amazing network of 185,000 members who represent more than 3,000 chapters across the United States and internationally! Members of Local and State Militia and Navy. Members of Continental Army, and Continental Navy. Signers of Oath of Fidelity and Support or Oath of Allegiance. Members of Committees of Correspondence, Inspection, and Safety, and committees to care for soldiers’ families. Members of the Continental Congress, State Conventions, and Assemblies. Signers of petitions to recognize the authority of the Provisional and new State Governments. Ministers who gave patriotic sermons and encouraged patriotic activity. Persons who provided material aid of supplies, munitions makers, gunsmiths, and monies, with or without remuneration, to the Colonies. Defenders of forts and frontiers. Doctors, nurses, or others providing medical care to the wounded. French nationals performing service within the colonies or in Europe in support of the American cause. Spanish Troops serving under Galvez. Prisoners of war or refugees. Members of the Boston Tea Party. 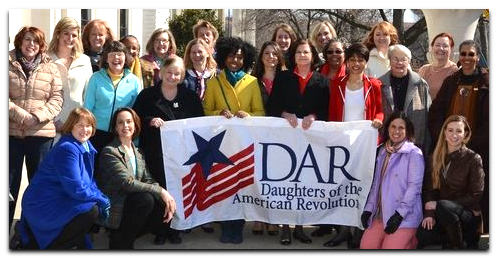 If you are a woman 18 years or older who can prove lineal, bloodline descent from an ancestor who aided in achieving American independence, you are eligible to join the DAR. You must provide documentation for each statement of birth, marriage, and death, as well as documentation of the Revolutionary War service performed by your patriot ancestor. We can help you do that! Just complete the form on the right to start the application process. Our registrar will provide all the help you need to become a member of the Daughters of the American Revolution.